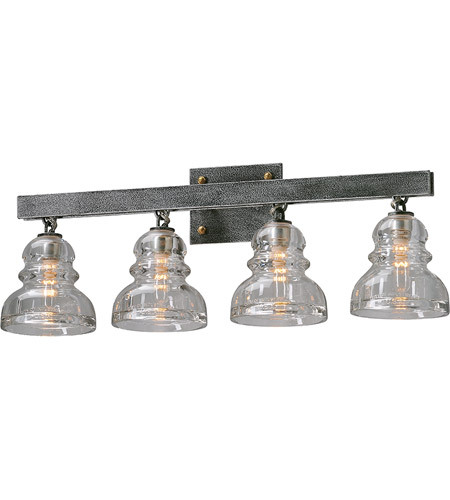 Update your bath with industrial chic styling with Menlo Park 4 Light Bath Vanity in Old Silver. 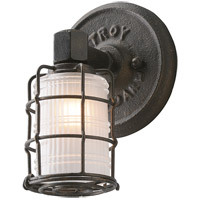 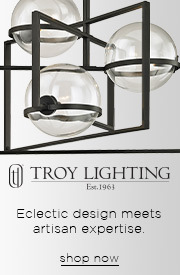 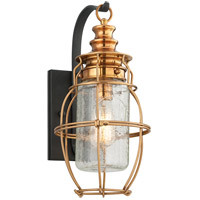 Paying homage to telegraph and telephone wire glass insulators of the 1920’s, this Troy Lighting bath fixture features 4 double walled glass shades and uses 4 (60 watt) candelabra lights. 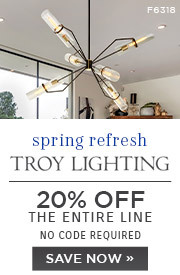 Give your bath a stylish, one-of-a-kind look or pair this fixture with others from the Menlo collection throughout your home. 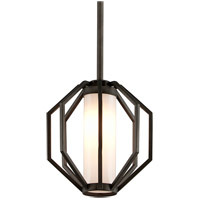 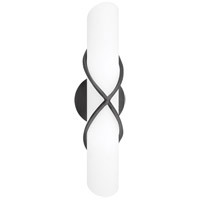 Q What are the outside dimensions of the fixture? 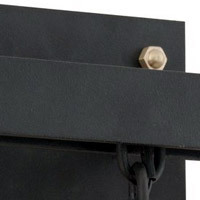 And what are the dimensions of the backplate? 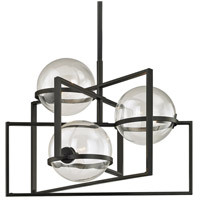 A The Troy Lighting Menlo Park 4 Light Bath Vanity B3954 dimensions are: width 28", height 10", depth/extension 6-3/4". 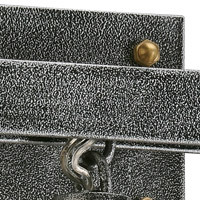 The backplate dimensions are 4-1/4 x 5-3/8".